The most anticipated edition of the DSM-5 ® in history has arrived. Time to get acquainted with the changes that the new DSM-5 is going to bring! The new learning curve for all of us has begun. One of the most anticipated events in mental health, the new DSM-5, is going to change the way we view diagnosis and treat mental illness. The most anticipated edition of the DSM in history is about to arrive! 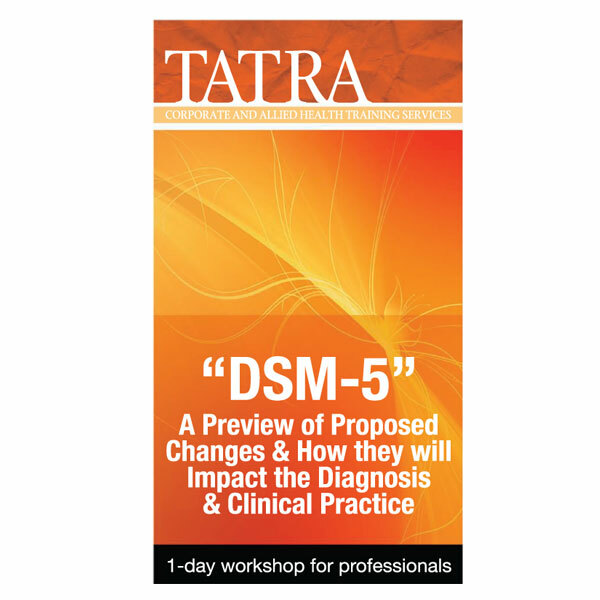 Time to get acquainted with the changes that the new DSM-5 is going to bring! The new learning curve for all of us has begun. One of the most anticipated events in mental health, the new DSM-5, is going to change the way we view diagnosis and treat mental illness. Steeped in controversy from the outset, the DSM-5 will fundamentally change how mental disorders are conceptualized and diagnosed. Healthcare providers such as nurses, psychologists, general practitioners, social workers, mental health support workers, counsellors and other such professionals need to prepare for this new era. Purchase this DVD to learn the many changes to diagnostic criteria for mental disorders, the organization of disorder categories, and even the definition of mental disorder itself in DSM-5. We will discuss these changes in the context of historical and political forces that have inspired the DSM-5 task force to advance controversial proposals such as eliminating the bereavement exclusion for major depressive disorder and introducing new diagnoses such as “disruptive mood regulation disorder.” You will learn about the most significant differences between DSM-IV and DSM-5 and how to incorporate them into your clinical practice.